The Senior Citizen’s Guild of the YMCA, Panaji, organized a Jumble Sale for a Cause on 2nd October. The Sale garnered an income of Rs. 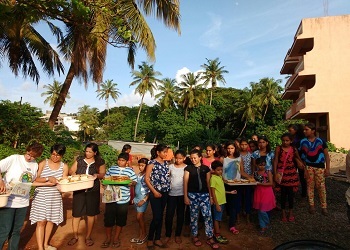 50,000/-, which was equally split and handed over to the Directors of two pre-decided beneficiaries– the NGO, SCAN (Stop Child Abuse Now) Goa, and the residential home for the aged, Convent of St. John of God (Old Goa).